Each year without fail, I have 1 or 2 prospective clients say “its an open contract”, “why do you limit the number of loads you’re hauling out?”. And I am always glad to explain in detail why. The other week we encountered an excessively thick concrete pool deck. So I thought it would be a great opportunity for me to shoot a picture to provide prospective clients with a visual. See, we have no idea what we will encounter. No contractor truly knows how thick the concrete is until they break into it. 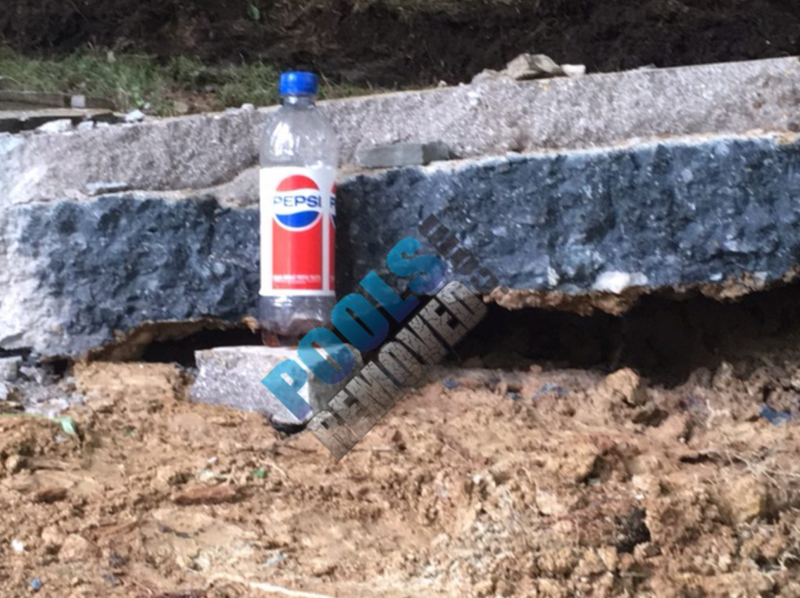 In the case of the job in the photo we encountered a concrete pool deck that was no less than 8-inches thick; the average is typically 4-inches. A situation like this can add additional loads of rubble to be exported (if rubble is contracted to be exported). The more that’s hauled away…the more fill material we will need to backfill. Its rare that we encounter such extreme variances in concrete thickness. But it does happen, and we need to have the bases covered for when it does!